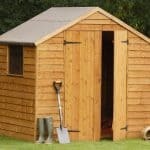 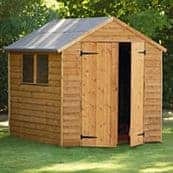 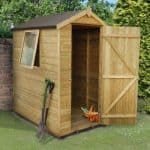 This Overlap wooden shed has great interior space for plenty of garden equipment, light furniture and children’s toys. 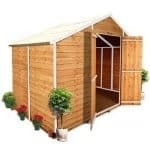 It is a very attractive building which will complement your garden well. 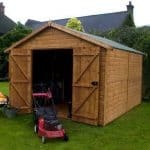 The shed has an Apex roof and a single styrene window for good light inside and the large double doors means it is easy to transport tools inside and out. 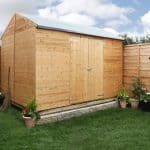 Constructed out of 8mm overlap boards it also has a 10 year anti rot guarantee so it will last you for a long while! 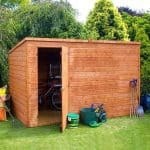 This comes home delivered with assembly for your convenience.